The rapid growth of technology has resulted in a short attention span. We’ve become so used to the latest whiz-bang gadget coming out from Apple that we tend to forget how useful older technologies are. Skype has been around awhile. Most of us have integrated Skype into our professional and personal lives so completely that it’s easy to take it for granted. But one area where Skype has been nearly completely absent is an arena that could likely benefit from Skype integration the most: education. It’s no secret that education has never been quick to adopt new technologies. Students who grow up proficient with the latest technologies in their homes have gotten accustomed to education’s alternate universe where just the simple move from chalkboards to dry erase boards required Herculean efforts. Overhead projector use in classrooms was at least twenty years behind mainstream use, and replacing heavy textbooks with iPads is viewed in many circles with extreme suspicion. To be fair, there is a logical disconnect when iPads are introduced into classrooms that need buckets to catch water from leaky roofs. That’s understandable. But there are some technologies, which require little expense to be incurred by school districts and which will prove hugely beneficial for students and educators alike. Although there has been a historic hesitation to embrace technology in education, Skype may have good potential for successful classroom integration. Skype has been heavily used in online education, but it’s never been able to break into primary and secondary education classrooms. That looks like it could change. 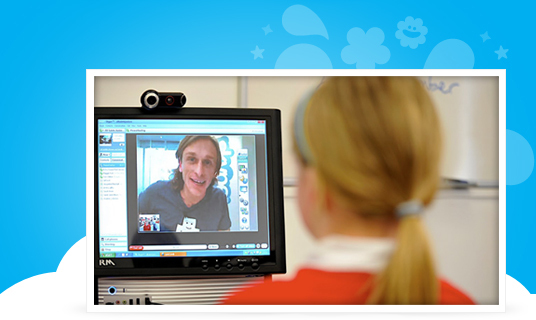 Skype’s new CEO, Tony Bates, presided over the little-publicized foray into the education space with an initiative dubbed appropriately “Skype in the Classroom.” It may not have made front-page news, but this Skype program which essentially forms a teacher network left beta last March with more than 4,000 teachers. This teacher network has already swollen to more than 15,000 teachers sharing a plethora of projects. The implications of Skype integration into the majority of classrooms are nothing short of staggering. Those of us that use it daily for inter-office communication and instant feedback without time lag may take it for granted. But teachers have never had an across-the-board- technological capability like Skype, which promises the potential to supercharge collaboration. There have been avenues through which successful lesson plans could be shared with other teachers, but often teachers end up having to re-invent the wheel. Skype usage by teachers means that teachers can collaborate with regard to teaching strategies and share effective lesson plans. Just being able to drag a Word doc into Skype for immediate download and print capability is a huge benefit by itself. If Skype has considerable positive implications for teachers, the impact for students is likely greater. Not only will students directly benefit from enhanced teacher-to-teacher collaboration, Skype offers additional possibilities. It used to be fairly common for school kids to have foreign pen pals. Waiting on letters took forever. Imagine Skype taking the place of the snail mail medium and the ability to engage in meaningful real-time conversations between students who are geographically a world apart. If Skype is successfully integrated as part of teaching methodology, the potential uses for foreign language classes and even sister classrooms going forward are immense. This is a guest post by Jesse L., Who is a recent college graduate who enjoys time with his family and blogging. He is also an advocate for online education. If you also wish to write guest post for us check guidelines here. Where to Get the Extraordinary Data Recovery Services?